Tennis is one of the most popular sports in the country thanks to the heroics of Leander Paes and Mahesh Bhupathi. These two are legends and they brought many laurels to the country by their strong performance. Then comes Sania Mirza, the beauty queen who is extraordinary in court took the popularity of the sport to next level not only by her stunning look but also by her strong performances. Apart from these players there comes another player who came from the humble beginning and rose to the fame by his strong performance at the international level. He is none other than Rohan Bopanna as he made the headlines by pairing with fellow Pakistani player Aslam Qureshi and the duo was formally known as Indo-Pak express. Here is the story of the tennis stalwart Rohan Bopanna. 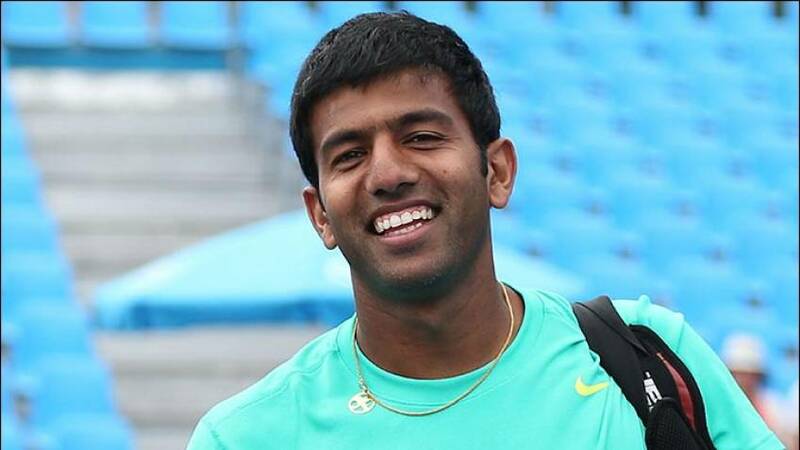 Rohan Bopanna was born on Mar 4, 1980, at Coorg Karnataka. His parents MG Bopanna who was the coffee planter and mother Malika who is a homemaker are very much interested in tennis and both are very influenced Rohan to take up the sport. He took up at the sport at the age of 11 and after completing his school days he took the sport more seriously and made tennis as his career option. He faced lots of ups and downs during the earlier days of his career. With 6.3 feet height, he was expected as the best thing happened in Indian tennis but he could not live up to the expectations in the singles category but he made his presence felt in the doubles event. He reached the career high ranking of 213 in 2007 and world number 3 in doubles category in 2010. He graduated from Sri Bhagwan Mahaveer jain college and made his Davis Cup debut in 2002. Rohan turned pro in 2003 and from then onwards he used to compete in many international tournaments. He established himself as one of India’s best doubles player during 2007 as he paired with Sania Mirza in mixed doubles to seal a 2-1 victory against Croatia in Hopman Cup. Bopanna clinched his first major title win at the countrywide classic in 2008 partnering with Eric Butorac. This victory made him more famous and he becomes one of the notable tennis fraternity across the globe and he carried that success to Chennai open and made into the finals. In 2010 he changed his partner and found the new one in the name of Mahesh Bhupathi and reached the quarterfinals of Chennai open the pair didn’t last long and he made the headlines by partnering with Pakistan’s Aslam Qureshi and the pair won their first maiden title at SA Open. They also reached the finals of the Niemen open and in June pair went on to reach quarterfinals of the Wimbledon championships. Again in the same year, they reached the finals of the US open and it was the first final for Bopanna in grand slam events. Since then he made his appearance in major international tournaments across the globe. he also represented India in Olympics, Commonwealth Games, and Asian games. During 2012 he refused to pair with Leander Paes for Olympics which eventually led to sending two teams one Bopanna pairing with Mahesh Bhupathi and another one Leander paes pairing with Vishnu Vardhan. His longest fest run finally happened in 2017 as he along with Canadian Gabriela Dabrowski beat Anna- Lena and Robert Farah in the finals of the French Open. In 2013 Wimbledon he reached his career-best ranking of world number 3. He was nominated as champion in 2010 by “peace and sport” a Morocco-based organization for promoting peace through sports. His campaign “stop war start tennis” was the recognized globally and was awarded as humanitarian of the year along with Qureshi. He was also awarded as Ekalavya by the government of Karnataka in 2015. He is also one of the founders of “GoSports Foundation” which helps in nurturing the young sportspersons. He also owns a tennis academy in Bangalore. During his brief stint at international tennis, he paired with many tennis personalities but his best came when he pairs with Mahesh Bhupathi and Aslam Qureshi. He is also running a private restaurant named cirrus at Bangalore. He was married to Supriya Annaiah who is a psychologist. He along with Sania Mirza got the best chance to win a medal at Rio Olympics but eventually finished 4th. He won four masters title and reached 17 ATP career finals along with 26-runner-up trophy. As everyone knows he is one of the finest tennis players in India and hopes he continues to blood many youngsters through his coaching academy.